Position: Partner. Born Pasadena, California, July 11, 1953; admitted to bar, 1983, California and U.S. District Court, Central District of California; 1985, U.S. Court of Appeals, Ninth Circuit; 1994, U.S. District Court, Hawaii. Education: California State University at Long Beach (B.A., 1979); Southwestern University (J.D., 1983). Recipient: American Jurisprudence Award in Torts; Southwestern University Award in Torts and Legal Communication Skills. Member: American Board of Trial Advocates; Los Angeles County and American Bar Associations; State Bar of California; Association of Southern California Defense Counsel; Defense Research Institute. Mr. Leibl has successfully defended all specialties of the medical profession and related hospital services against claims of professional negligence. His State and Federal practice in California has included representation of individual physicians, medical groups, hospitals and associated healthcare providers. Many have been high profile cases including the representation of target defendants in cases brought by entertainment and sports celebrities. Mr. Leibl was the recipient of the prestigious AMR/EmCare Client Service Award at the 2014 Envision Healthcare Defense Counsel Conference. 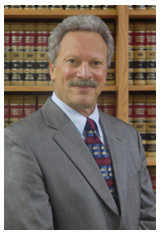 Mr. Leibl’s exceptional reputation as a medical malpractice defense trial lawyer, mediator and negotiator is balanced by his successes defending other types of complex tort litigation. 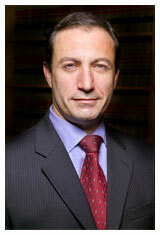 Mr. Leibl has served as a mediator, arbitrator, and settlement officer for the Los Angeles Superior Courts. He began his legal career as an attorney for the United States Small Business Administration, Los Angeles District Office, where he gained broad experience handling cases involving bankruptcy, commercial litigation and contract analysis. Born Kiev, Ukraine, admitted to bar: California, 1995; U.S. District Court, Central District of California, 1996. Education: University of Southern California (B.S. 1992); McGeorge School of Law (J.D. 1995 with honors). Member: Los Angeles and Riverside County Bar Associations; State Bar of California. Languages: Russian, Spanish. Practice Areas: Medical Malpractice, Public Entity Defense, General Liability Civil Litigation, and Employment Law. Mr. Miretsky has a diverse legal background. His practice has included defense of self-insured entities, cities, school districts, police departments, employment litigation and medical malpractice defense. He has represented a wide variety of medical professionals, including individual physicians and nurses, ambulance companies, hospitals and nursing care facilities. He has represented clients in civil actions as well as administrative matters before the Medical Board and other regulatory and administrative agencies. Born Kansas City, Missouri; admitted to bar, California 1980 and U.S. District Court, Central District of California. Education: University of Arizona (B.A., 1976); California Western School of Law (J.D., 1979); Georgetown University School of Law (LL.M, 1980). Kathryn "Missy" Mosely's reputation for excellence spans more than 35 years of litigation and trial success. 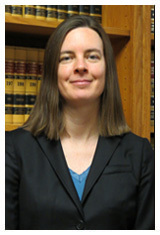 She is an Associate of the American Board of Trial Advocates and is AV rated by Martindale–Hubbell. She specializes in the area of professional medical liability including the defense of hospitals, and healthcare professionals in a wide variety of cases including elder abuse and sexual assault. She has particular expertise in the defense of complex medical malpractice litigation with emphasis on catastrophic injury cases. 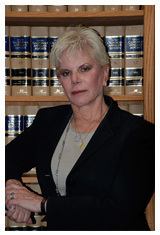 Ms. Mosely has been involved in handling high profile and difficult cases. She has also earned a reputation for her work on healthcare issues including policy development and HIPAA matters. She has been intimately involved in working with federal and local governmental agencies. Ms. Mosely also handles matters relating to medical staff and licensure matters. Ms. Mosely is well known for her lectures on a wide variety of topics to hospitals, healthcare organizations, nursing and residency training programs, allied healthcare professionals, and national groups. Ms. Mosely’s practice also includes a variety of business and litigation matters relating to the equine industry. Born: Upland, California, November 23, 1976. Admitted to the California Bar, 2004.,Education: California State University at Fullerton (B.S. in Biology, 2000); Chapman University School of Law (J.D., 2004). While in law school Lee served as an editor on the Chapman Law Review and participated in the Volunteer Income Tax Assistance program. 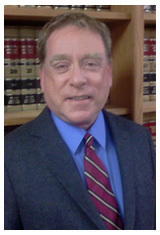 Mr. Wood has 31-plus years of civil litigation experience practicing primarily in the field of medical malpractice representing doctors, nurses, hospitals and other healthcare professionals as well as hundreds of consumers of healthcare. In that time, he has handled hundreds of cases with multi-million dollar damage exposure through all phases of the litigation process from the pleading stage up through trial. Other practice areas have included product liability, general casualty personal injury, toxic tort and pharmaceutical liability litigation. He has also worked as outside corporate hospital counsel.